Over the past two years, our district has tried to make a number of online resources (e.g., Learn360, Gale, Atomic Learning, Project Gutenberg, and Follett ebooks) available to students through our Destiny Library Manager system. 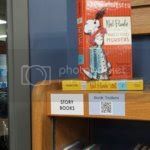 This “one stop shop” strategy is designed for ease of use and to promote the school libraries as the place to go for both digital and print learning resources. • Our very own middle school students (see previous post). Now before you send your students off to the PG website, there are a couple of things to consider, for assistance age-appropriateness. PG contains many, many books — some you might want in your school library, but others that would be more appropriate for a different audience. With assistance from a regional librarian, Kate Weber at the Lane ESD, we imported MARC records from Project Gutenburg for age-appropriate classics. These books are available directly from PG, but again, focusing on the “one stop shop” model, we wanted these books to be available directly through our Destiny searches. Kate compiled a list of ebooks from PG that were appropriate for schools (E-books from Project Gutenberg), listed a subset of those appropriate for elementary (E-books from Project Gutenberg for Elementary), and then wrote up a reflection of the books that she felt individual librarians might want to reflect upon before including them in their school libraries (Ebook records removed or reflected upon). Finally, she provided directions for importing e-book MARC records into Follett Circ/Cat and the MARC records for E-books from Project Gutenberg and the MARC records for E-books from Project Gutenberg for Elementary. All of these resources are also available from our regional library conference page, where you will also find a fun Harlem Shake OASL Style video that we made that afternoon. Yep, librarians are a fun group! 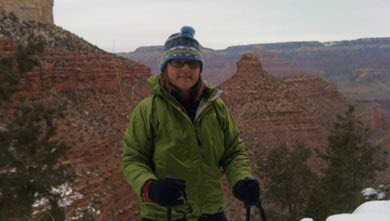 Lynn Lary is the Instructional Technology Specialist & Media/Library Coordinator for the Springfield Public Schools in Springfield, Oregon where she spends her time working with teachers and teacher librarians to support 21st century teaching and learning. Visit her at Libraries without Walls — a professional development resource for classroom teachers. It’s hard to believe that school has started. In our library this means that 8,000 textbooks have to get into the hands of students before anything else can happen. We put out a sign that says “textbook room: open only for textbook pickup” as our only decoration. The shelves are piled high with science, history, English and other textbooks. Thanks to Carolyn, Library Assistant extraordinaire, all the back work is completed and ready for kids to show up and check-out their books. Using Textbook Manager, she’s captured all the info needed to assign kids to classes, books to teachers and is ready to circulate them for their new year. We’re lucky that we get to hire a couple of folks to come in and help us during check-out, which brings the check out period down from 2 weeks to 4 days…AND this allows us to spread out the work so that no one person is doing all the circulation duties all the time. Our system of how kids move through the library has been refined through the years so that they (hopefully) just walk in one door, wend their way through to their class books, over to the nearest check-out station...and back to class. When all the textbooks are distributed, we close the library for 2 days…shut the blinds and lock the doors. During this time we decorate the bulletin boards, arrange the seating, and set out displays. We use this time to finish up any cataloging or re-arranging of books on the shelves. When all is ready, we host a “grand opening” – the LIBRARY is now open - with announcements on the morning broadcast and signs throughout campus. It’s so much fun hosting that opening day. Kids come in, teachers begin bringing in classes and we start out our new year eager to implement new ideas and get to know the new freshmen while re-acquainting ourselves with the sophomores, junior and seniors. The new school year is a time for optimism and hope. It is this optimism that allows us to open our hearts and minds to all the possibilities ahead of us; and for me, hope, includes thinking through those possibilities in such a way that I hope I can pull off even a few of them this year! Connie Williams is a high school librarian and an advocate for school libraries.You can contact her via email, or leave a comment below. Napa Valley School Library Consortium has a novel and sometimes controversial method of managing a 360 square mile county-wide consortium composed of three districts, two private/parochial schools, the adult education school and the county office of education’s curriculum/assistive technology library. Now in its ninth year, we have left behind the initial growing pains and morphed into a model able to provide services in unique ways to a variety of different school libraries. . When I look back, I am amazed and humbled by the collaboration and partnership that has emerged among these very different districts, sites and staffs. Join us for an interesting and possibly crazy year as we implement BYOD at our middle schools and remaining high schools and continue with the IPad project for K-2. We expect acquisition and use of online resources including eBooks for K-12 in the library and classroom will increase dramatically. Just in case we get a little complacent, Common Core State Standards; Project Based Learning (PBL) at selected elementary sites and the new transitional kindergarten are just a few more things to add to our schedules. We will be very busy……! Over the next year you’ll hear from a very different cast of characters. Learn about the successes and frustrations that are part of our library world and probably very similar to yours….. We look forward to giving you an accurate picture of our libraries and insight into the remarkable people who staff them. We hope you’ll take the time to follow us as we set out on another year in our library life. Department of Education’s Recommended Literature Committee and is a board member for the local public access television station. Cathy has been the library technician at Harvest Middle School for the past 11 years. Prior to heading to middle school, she worked for five years at a K-6 school. 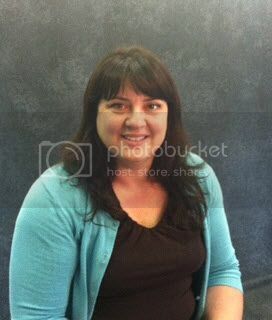 Cathy was part of the NVUSD Textbook and Library Manager implementation projects and currently the textbook team leader. She collaborates with administration and Library Services for collection development for all district middle schools. On top of this Cathy is the district data queen for Read 180! She has a passion for motivating children to read and loves to do Reader's Advisory with her middle school students. Her husband is a retired airline pilot… a good thing because she loves to travel!! Michelle has been a Middle School Library Media Specialist for 15 years. She is the St Helena USD district liaison to the Napa Valley School Library Consortium. Michelle also administers her school’s website, Scholastic R180, Scholastic Reading Inventory and Reading Counts!, as well as her district’s Textbook Manger and Library Automation System. She loves technology and is a member of the NVSLC eTeam. Michelle is a huge fan of Follett’s Destiny Quest! She teaches every student how to use it on the computer and on the app for finding books as well as using it for research projects. Michelle was an important part of our Follett Webinar: Meeting the Common Core With One Search. 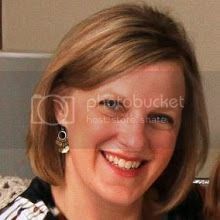 She will be presenting with the eTeam this October at CUE Common Core and Digital Resources. Shawna Faulk has been an elementary school library clerk for about 18 months. She may be the newest library clerk, but she has been able to network with more experienced staff and has attended every available training to increase her skill set! Shawna has LOVED books for as long as she can remember and has been a library volunteer for the past 9 years. She has 3 school-aged children that also share her love for reading. In her elementary school library she hopes to provide an environment that encourages students to learn, explore, and discover the hidden treasures in books. As Dr. Seuss said, "The more that you read, the more things you will know. The more that you learn, the more places you'll go." 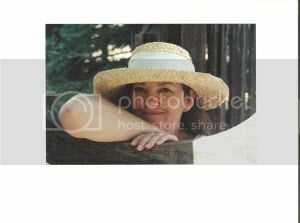 Lorraine was born and raised in Los Angeles and moved to Napa Valley with her husband in 1977, where she raised her two daughters. 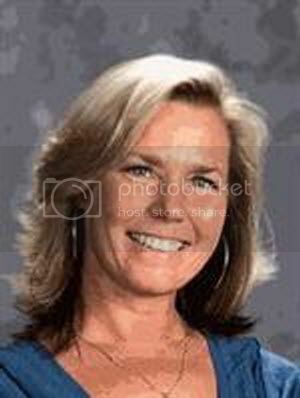 She started working for the local school district in 1988 as an instructional assistant and noon time yard supervisor. 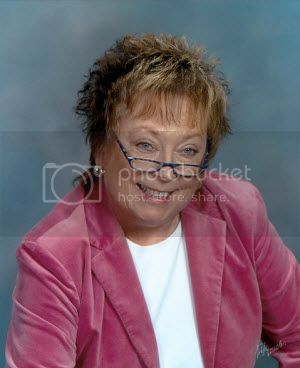 She added library clerk to her job duties in 1994. Working in the library is still the best part of her day! Lorraine runs a summer reading program at her small school that is in its tenth year. Last year she had over 500 circulations and partners with the Napa County Library’s summer program. She is one of the more experienced clerks and often is asked to mentor new hires. 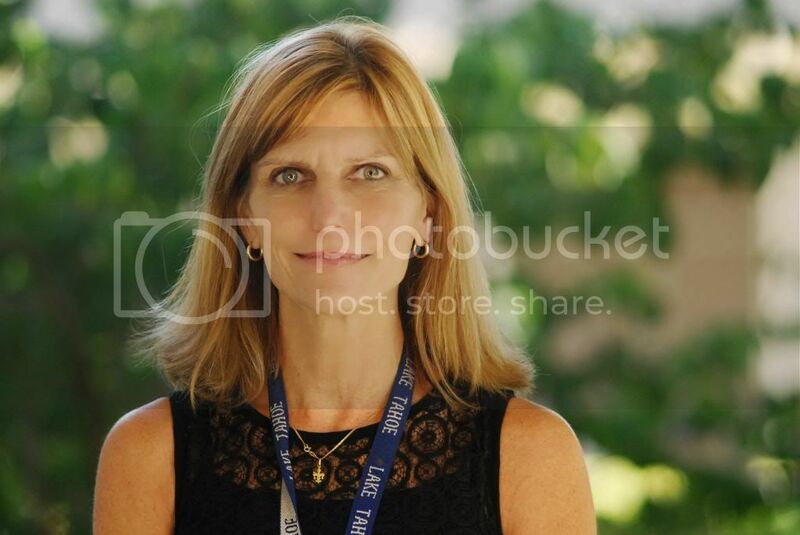 Sandy is the Teacher Librarian for three of the high schools in the Napa Valley Unified School District. In addition, she is part of the NLSLC eTeam and the District’s BYOD and Common Core taskforces. Sandy is implementing a digital citizenship curricula that will be used in all district high schools this year. She is completing her masters in Educational Technology in August and she wouldn't think of having any other profession. 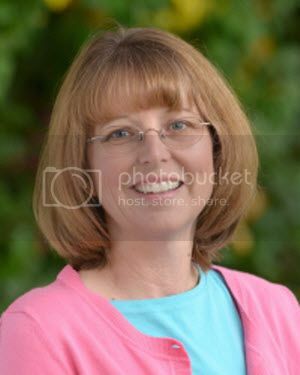 Susan has been the Library Media Specialist at St. Helena High School since 2006. She has a degree in Linguistics from UC Berkeley, on the Board of Trustees for the St. Helena Public Library, and is an ardent bibliophile. She took an outdated library and over the years has upgraded the copyright date by ten years! Library use has shot up and it’s now the place for SHHS students to congregate. When her attention is not on a book or focused on Words With Friends, she enjoys yoga, travel, and spending time with her family. Collette was born in Virginia, grew up in the Virgin Islands, and attended S.U.N.Y. Maritime College. She sailed as a Second Mate until she returned to shore to raise a family. Collette started working in her children’s elementary school library as a volunteer and discovered how much she loved it. She went on to take a part-time job at a middle school library and has been a full-time clerk in the Napa High School library for the past six years. Breanna is a bilingual Library Clerk at Redwood Middle School in Napa, CA. She also works on-call as a Library Associate for the Napa County Library. Breanna obtained a Masters in Library and Information Science from Drexel University with a concentration in Youth Services. She's a foodie who loves Latin American literature and traveling the world. QR codes can be really useful for the library crowd. A QR Code (Quick Response Code) is a funny-looking little pixelated squares. You’ve most likely seen these in advertisements. These 2D designs contain in them all sorts of data. In advertising, a url is embedded in the design. Marketers can track who views their ads and fine tune their sales approach. You should know I am not afraid of technology. Using applications, gadgets, and such makes me shiver with glee. I am, however, decidedly Old School in my approach. If students aren’t using, creating, exploring, and thinking using techie tools, I’m not on board. In my middle grades library, I use QRs to guide scavenger hunts, play my version of “Mission Impossible,” embed author information and website, share my library website, and guide students to curated materials. I’ll explain these uses in my upcoming posts. Right now, I’d like to share a book trailer playlist accessible from all my bookshelves via QR code. These are publisher created book trailers and the great thing for concerned librarians is that I’ve tinkered with the embed code so that YouTube video suggestions are not visible. 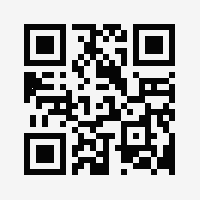 To access this playlist, copy and paste this QR into a document that you can print. Want to change the size of the code? Click and drag any corner of the QR image to make it larger or smaller without distorting the image. I print these to business cards and stick them to the top of my library bookcases. Share one trailer with students. This will pique their interest! Stacey is the Liberty Library Lady, a librarian for middle grade students. Her background is in history and philosophy. This Liberty Lady is complete when sharing a great book or idea with a young friend. You can follow her on Twitter @JansenSae. Common Core or Next Generation Science Standards? Are you seeking new books in series or selections from favorite authors? We have the expertise to provide you with the right resources for your school library. At Follett, we take pride in our staff of professional educators who have years of experience in classrooms and libraries. Our Library Collections team will save you time by creating up –to—date lists so you can spend less time searching for resources and more time with your students. Let us help you upgrade your library collection with resources developed to support the Common Core and other standards to improve reading skills and literacy. By creating a free Titlewave account you will have access to our complete list of first choices. View this season’s picks from our publishersin our First Choice- Elementary and First Choice- Secondary Fall 2013 catalogs..
Our catalogs are hot off the press and ready for you to peruse and place an order. Download the First Choice-Elementary Catalog and the First Choice-Secondary Catalog today! We’ve all heard it before… A picture is worth 1,000 words. Some poets take this quite literally, writing Ekphrastic poetry or poetry about or responding to artwork. If your students are back to school this month, this could be a fun way to get them back into writing while offering a little art appreciation. There are many ways you could approach ekphrastic poetry. I’m considering trying something new this year: Simply putting up a picture of the day and asking students to submit poems or stories about the picture. Our library has a number of art books that are underutilized and I’m hoping that putting these out on display and asking students to engage with them this month will help them engage with the books later in the year. If you are a classroom teacher, you could borrow this lesson from the Smithsonian, which walks students through the process of observing art and turning their observations into creative writing. The Academy of American Poets also has a great listing of ekphrastic poems, if you are looking for examples to show your students. Elizabeth Joy Levinson runs a high school writing center and library on the west side of Chicago. She has been teaching for more than ten years, with experience in museum education, private education, and in the classroom. 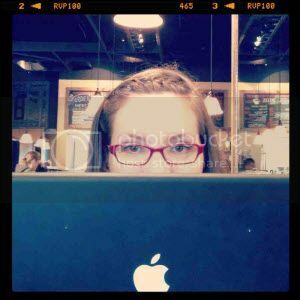 She is also a writer with work appearing in several journals, including Grey Sparrow, Hobble Creek Review, Up the Staircase, and Apple Valley Review. Follett's latest digital release unleashes the power of eBooks. This release brings more teacher tools, more devices, more usage, and more learning to your classroom. On Thursday August 22 at 2 p.m ET John Williams, Follett’s Director of Digital Products will give a free webinar on the latest Follett Shelf digital platform release in the Follett sponsored EdWeb Community, Digital Decisions for Collaborative Learning. A CE Certificate will also be provided for attending this webinar. You can register for the complimentary webinar here. John Williams has more than two decades of instructional technology experience in K-12. He has developed and delivered technology training workshops, materials, videos, and web based materials focused on how technology can be an integral part of student learning. As the Director of Digital Products for Follett, he helps districts, media library specialists, and teachers navigate through the various digital options to determine the right solution aligned to local school needs. John has worked for K-12 leading companies like IBM, Lightspan, ETS, and now Follett holding various senior positions in marketing, product management, business development, and training services. 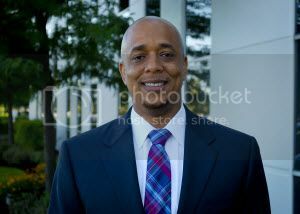 He frequently presents at state and national conferences focused on K-12 technologies. • See the latest features that connect teachers and students to eBooks in new ways for supporting classroom instruction and building reading skills. • Take a look at the new BryteWave™ K-12 Edition reader that will make access to eBooks simpler and easier than ever. • Make District Level eBook management a breeze with enhanced distribution and reporting features. • Gain insight into how students are interacting with eBooks with Time on Task data reporting. In the first part of this blog post, I discussed our school’s launch into student authored eBooks. I had started with our first grade teacher, Mrs. Stock’s classroom. Part 2 of this blog post discusses the journey into into our fourth and fifth grade classes authoring of ebooks. Mrs. Stocks, our first grade teacher, is always excited to utilize new skills and tools she takes away from workshops and conferences. With her class, we used the same Book Creator app, but did a much simpler version. Her class was working on a writing project and creating artwork to go with it. We decided to teach students how to take a picture of their artwork and crop it. I showed them how to use the iPad and the Book Creator app. They learned how to create a new book, label it with title and author, insert a picture, crop it, and move it, change the color and font on a page, and to add text. Their “ebook” was only one page that included their artwork, the title of their story that went with the artwork, and their name. They then did a voice recording of their story, which the Book Creator app allows you to do (very cool!). The final product was a one page ebook that looked similar to a cover to a book, but there was a button to tap that allowed the reader to listen to the story. It was the perfect project for this age group! Mrs. Weber, a fourth/fifth grade teacher, was working on autobiographies with her students and wanted her students to create ebooks for a final project. When I told her about the Book Creator app, she was excited and decided to go for it. Her students had a lot of typing to do which is not so easy to do on an iPad. We decided to see if her students could copy and paste from Google Drive (all our students have Google Drive accounts) and once we found out it worked, she was off and running. Can you believe all these projects were happening across grade levels, in three different classrooms, with only seven iPads and all at the same time?! Well, obviously, not at exactly the same time, but teachers managed to work their schedules so that the iPads were shared between classrooms throughout the day. It was an awesome accomplishment. Once students were finished with their ebooks, I sent both an epub version and a PDF version to my computer where I could then upload them to our server (not the easiest task, but I am hoping we can figure out a better solution in the future). I created a file folder for each teacher and put their students’ ebooks in their folder. 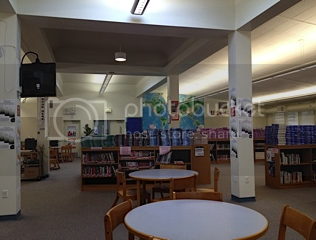 They then had a web address they could share with parents for them to view student work and for me to enter into our library collection for students who met the criteria. Mrs. Patterson had a night where she invited parents to come listen to their child share their book. Mrs. Stocks created QR codes and attached them to student artwork so parents could scan the code and download the ebook while Mrs. Weber created a link on her web page to her classes ebooks. I even have a link on my website where parents can access all the ebooks our students created this year. Students that met the criteria for creating an ebook for the library (still very much a work in progress), will have their ebooks catalogued as a part of our library’s ebook collection. Have you created ebooks on iPads? Have they become a part of your library? What guidelines must students meet in order for their ebooks to become a part of your collection? Librarians have been curating materials for centuries. New technologies help us curate more efficiently. For those of us working with younger children, bringing like materials together for research is commonplace. In my middle grades library, I use QR codes to help me better serve curious students. Typically, one table in the library is devoted to exploration. I’ll choose a topic that seems interesting to students and place many resources there for students to browse. Ten years ago curated materials about Hawaii included fiction books, posters, some lava rock, and some print resources. Today, this display includes fiction books, posters, some lava rock, and digital resources. Rather than dedicating ten iPads to this station--one for each digital resource--I use a QR “pass.” Students can scan QR codes, each one taking them to a separate site. Pre-selecting these sites allows me to teach students how to access quality information and allow them to work the research process. I frequently collaborate with teachers for class research projects. Typically, third graders begin note taking using pencil and paper. We teach students the ethics of research, and then provide for them curated research sites. In my opinion, there is no reason to overwhelm an eight year old with too many sources while requiring them to access the validity of a source. Stacey is the Liberty Library Lady, a librarian for middle grade students. Her background is in history and philosophy. This Liberty Lady is complete when sharing a great book or idea with a young friend. In previous school years I collected all the library books, conducted an inventory, and hit the door with a few books in hand to read over the summer with little thoughts of how I could stay connected with my faculty and students. With the interest in our digital and audio eBooks this year I knew this summer would be different. This was going to be the summer I was going virtual with my school library. As vacation approached I designed an infographic with suggestions for librarians to stay connected with faculty and students. I really wanted the list to motivate myself and I also wanted to become more familiar with an infographics software. As my list evolved, the virtual library plans proceeded to develop. It all began with a summer reading campaign and promotion highlighting eBook usage during our vacation. First, I gathered a summer reading committee and we collaborated on designing a simple reading campaign promoting our digital and audio eBooks, using Google forms, and posting entries on social media. I included teachers, administrators, students, parents, and other librarians on the committee. Although it was difficult to gather for meetings we used Google Drive to collaborate and communicate. Basically students and faculty signed a pledge to read during the summer on a Google form and entered books they read on a second Google form. Links to the forms were available on our school website and Facebook page. As books were entered I posted results on our school's social media accounts. Participants will receive a chance to win prizes for each book entered into the Google form during the summer. My principal has agreed to purchase incentive prizes for the summer reading campaign. In an assembly at the beginning of the school year, names will be drawn and prizes awarded from those who participated. In the same assembly we will announce the beginning of our school-wide 25 Book Challenge Campaign for the 2013-2014 school year. This would be a smooth transition from our summer reading campaign into our school-wide literacy program. The summer reading campaign was promoted before students left for the school year by inviting classes into the library for a quick eBook usage review, information was posted on our social media sites, students made commercials for our school news show, lessons on eBook usage were screencast and linked to the library's website, our school marquee flashed the data, bookmarks were given out with instructions and passwords, and we skyped with in-coming 5th graders promoting the reading campaign. I am pleased to announce that roughly 100 students and faculty have signed the pledge and many books have been entered into the Google form. With each entry I have posted comments on our social media sites which in turn promotes more interest. I have also answered emails from parents, faculty, and students who were requesting information on eBook usage. I have been able to manage the program at any location with little time taken away from my vacation. So far the campaign has been successful and I plan on making a bulletin board in the fall titled Where in the World Have You Been Reading. With the information gathered from the Google form I will display the location of where our students were reading this summer. As a school librarian, I have gone virtual during our summer vacation with a simple plan of blending the tools of the 21st Century, promoting our eBooks, and using social media. The plan was simple but it kept me connected with my students and faculty during the long hot summer break. 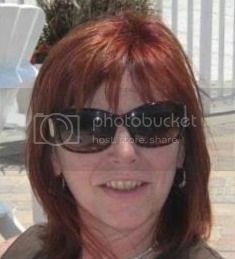 Sue Fitzgerald began her educational career as a classroom teacher in 1980 in the Houston Independent School District. 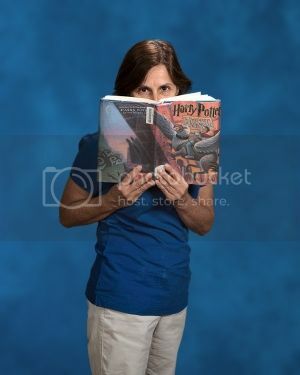 After nine awesome years as a classroom teacher she became a secondary school librarian in 1989 and haven't looked back. Sue has had the honor to facilitate libraries in Houston, Spartanburg, South Carolina, Dallas, Fort Worth, and now Justin, Texas. I love to blend my knowledge and enthusiasm into the changing world of libraries. Where in the World of Library is Carl?